Devakant began studying Western Classical music at age 7. His first instrument was the trumpet, and in his teens he began with the flute, piano, and violin. At the University of California, Berkeley, he studied composition, and went on to study Classical Indian Music at the Ali Akbar College of Music in Callifornia. 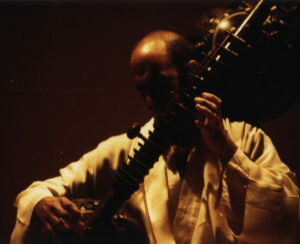 In 1978 he went to India for the first time and studied with a teacher of classical Indian vocal music and Rudra Veena. He traveled many times to India over a period of 15 years and lived there for over 7 years, studying bamboo flute (Bansuri) in Bombay with the world-renowned maestro of Indian Flute, Hariprasad Chaurasia. He also learned to play the Sarangi and Rudra Veena, two little known but deeply evocative instruments of Ancient India. 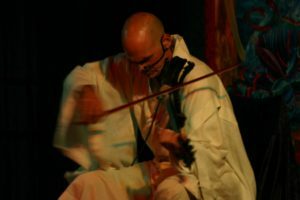 Other instruments Devakant has studied and performed with include bass flute, viola, electric violin, Celtic harp, kyotaku, koto, zither, Tibetan trumpet, Taiko drum, shakuhachi, sho, zamponas, kalymba, duduk and singing bowls. Throughout his life, Devakant has learned from masters of both music and meditation. He lived many years with the mystic Osho and personally was instructed by him in the art of playing meditative music. 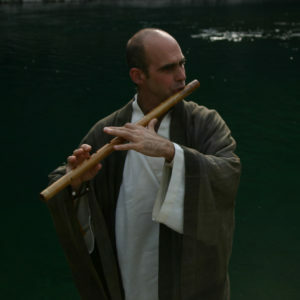 Through his meditation practice he found a deeper kind of music, based in silence. 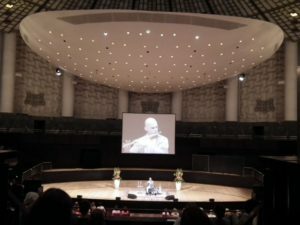 He travelled and lived many years in Japan, studying in Buddhist temples and Zen monasteries, also travelling in the Himalayas in Tibetan monasteries and Central and South American sacred archaeological sites, gathering the seeds which would flower into his own musical compositions. 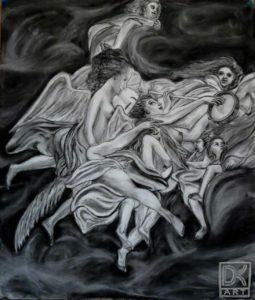 Devakant expanded his creativity through other dimensions, both in visual and plastic arts. In 1986 he began studying Western Art in Florence, Italy, and Eastern Sculpture in Japan, India, Nepal and Thailand. He received training from Koku Nishimura of calligraphy and the ancient art of monochrome ink-painting in Japan, and from monks in India, studied Tibetan Thangka painting in the Himalayas. 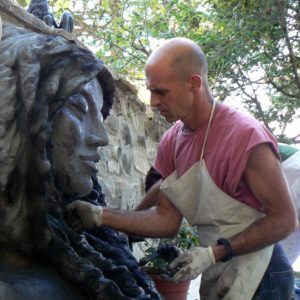 He also studied sculpture in Italian marbles and Terra Cotta under the guidance of Emilio Ambron and bronze casting techniques, in Siena and Pietrasanta, Italy. 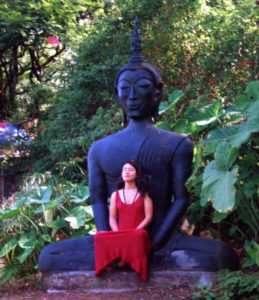 Devakant has created large Buddha statues made for meditation centers and public parks in India, two marble statues put on permanent display in a temple in Nara, Japan, large in situ sculptures in meditation centers in Italy and Chile and has created a marble open-air temple in Andalucia, Spain. He creates sculptures in alabaster, clay, wood, resin and concrete as well. Also, he makes paintings in oil and acrylic on canvas and drawings in carbon on paper, of which some are used as covers of his albums. 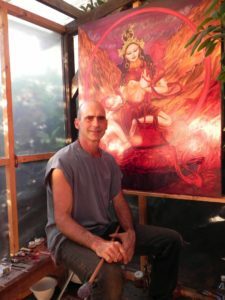 His pieces invoke a deep reverence and communion with Nature, particularly honoring to Mother Earth, and depictions of the forces of Nature embodied as deities. Currently Devakant lives in the Andes where he is creating a large sculpture park and composing/recording his new music. To date he has 21 published solo albums, hundreds of compositions and numerous works of art. He makes meditative concerts, events, workshops, and gives individual sessions and as well exhibits his artworks in Europe and South America.